Hello everyone!! It’s been a really long gap from my last post and I have no excuses other than the age-old one: “I was SO busy!” ;) So, to restart blogging, I thought of kicking off with something which deserves a place in every girl’s vanity-make up junkie or not! We get to see many eye shadow review marathon everywhere on the Internet and I am myself guilty of indulging in many eye-shadows in the past which seemed to be “MUST HAVE” for me then, but ultimately lay unused in my drawer! Finally, I have reached an “age” where it makes sense to own minimum number of eye shadow palettes which contains the colors I would actually wear, instead of running gaga over every recent launches ;) I have zeroed in two such beautiful palettes which contain every possible shade which would suit Indian skin tones BEAUTIFULLY! Here is the review of the first one! 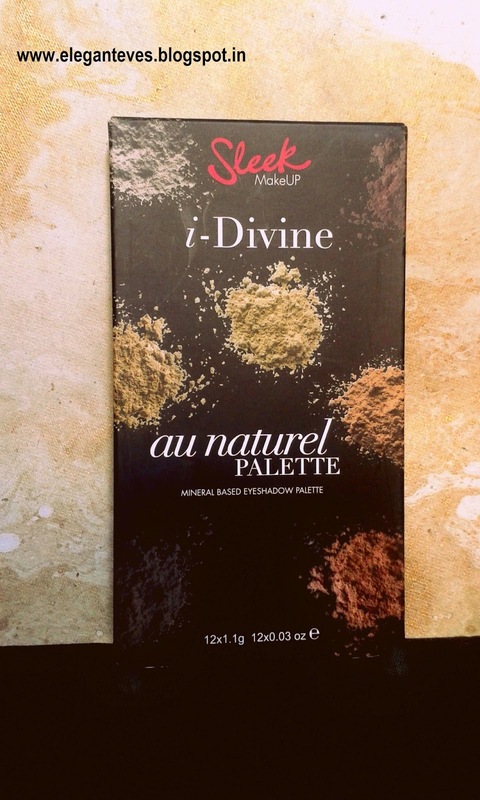 Sleek I-Divine Au Naturel palette! Packaging: The palette comes in a regular black cardboard box and the palette itself is of plastic, fits in the palm and contains a huge mirror inside. The lid click locks and is travel friendly. 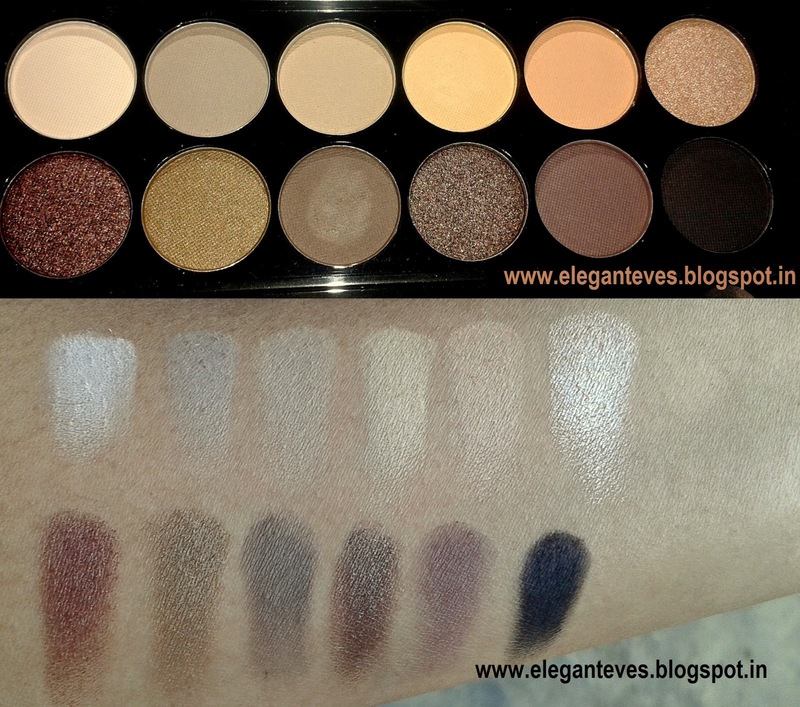 Overall, the palette is not heavy and you can easily carry it in your purse! 1. Nougat: A pale pinkish white on the pan which turns a matte off-white on the lid. 2. Nubuck: A pale matte grey. 10. Mineral Earth: A GORGEOUS dark bronze-gold. 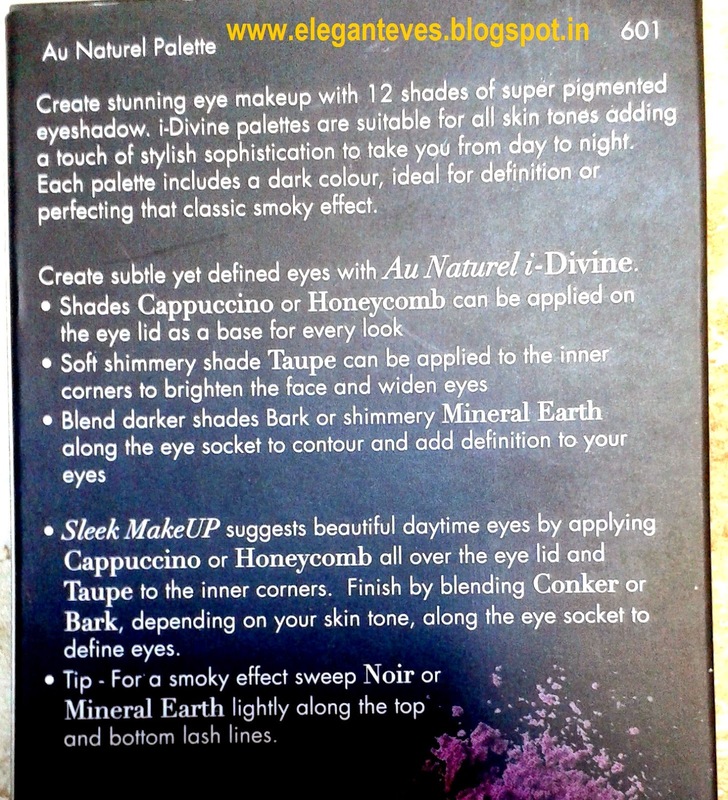 Pigmentation: I have seen many reviews on this palette earlier which claimed that the top row shades are completely useless. I beg to differ here! The shades in the top row work beautifully as highlighters or as a wash of color over the lids when you don’t want prominent eye shadow. I personally prefer such ‘no-makeup’ looks where I use shades like Cappuccino or Toast and finish off with a thin black eyeliner flick and mascara! 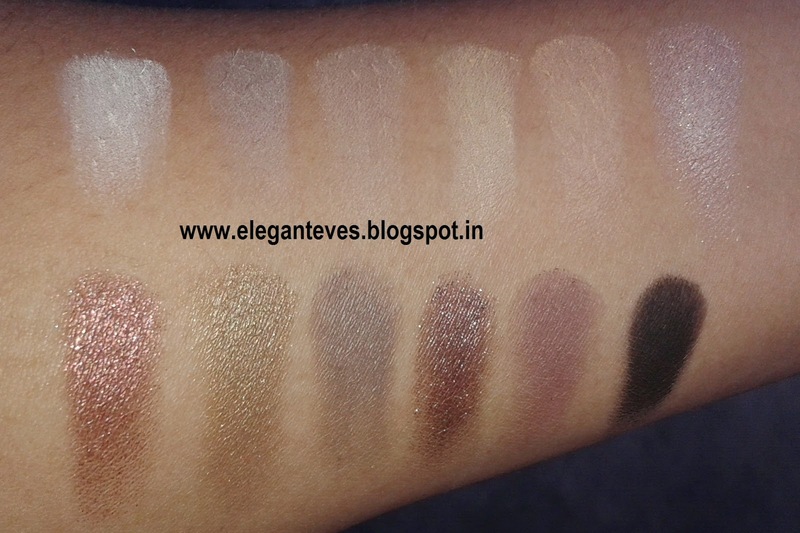 As for the bottom row, all the shades are gorgeous and perfect for night time! Noir is the most pigmented and intense matte black eye-shadow I have ever used and Bark and regal are my saviors for blending and creating soft smoky looks. In a nutshell, all the 12 shades are beautifully pigmented and each has a use of its own. We just need to run our imagination wild! ;) The swathes given below are all single swipes on bare hand without any primer underneath. They would naturally become even more intense with a primer or foundation beneath. Texture: SOFT!!! They blend like a dream and are not chalky at all. Also, there is no fall-out while application. 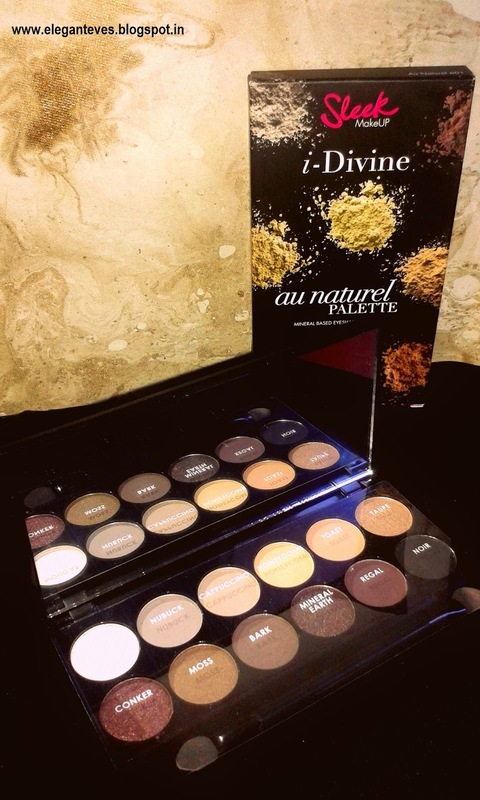 This is one palette which would create a range of looks for your eyes. Each shade can be used in combination with the other and thus none will be waste. The colors are very wearable and the perfect combination of such shades will prevent you from stacking endless number of palettes. 4. Quality: Pigmentation, staying power and texture are all awesome! 1. Availability might be an issue. I ordered mine from a friend who owns a page in Facebook called “Bring me Beauty” which takes orders of all makeup stuff from overseas.